Scheduling meetings is too hard - people are busy and rooms are scarce. There must be a better way... Now there is, with The Schedulator. The Schedulator decides when and where your meeting should be. No more struggling to find times that work for everyone, and rooms that are available when you need them. 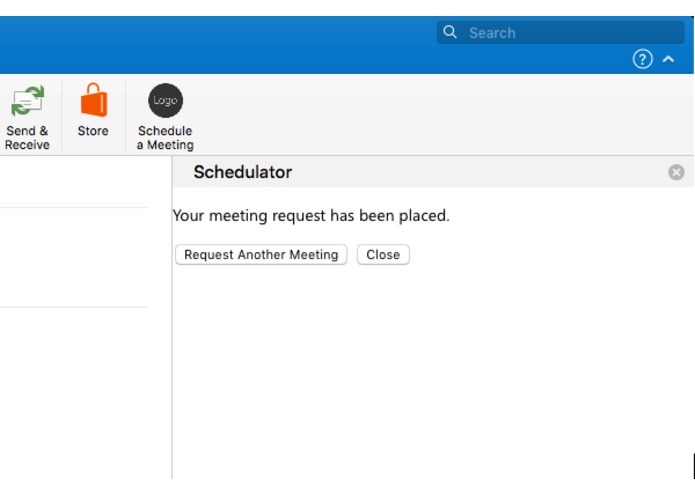 Simply use the friendly Outlook plugin to request a meeting. The Schedulator's optimization engine will do the rest. 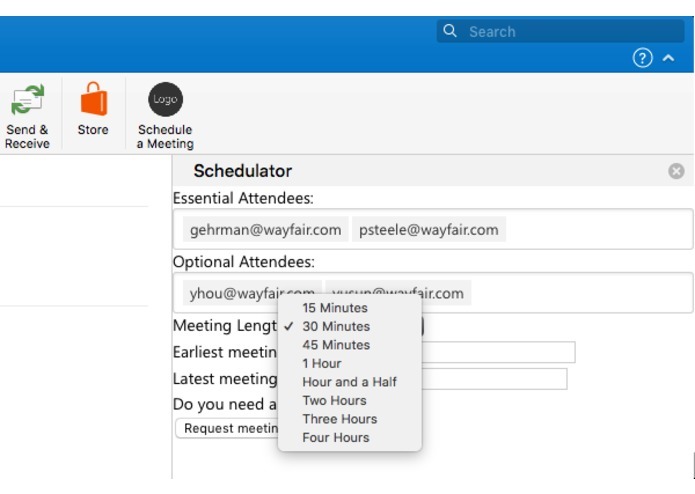 We built an Outlook web add-in to make requesting a meeting easy, and Haskell backend web service to plan meetings and allocate conference rooms in a socially efficient manner. None of us had ever built an Outlook plugin before. Only one of us was familiar with HTTPS. Only one of us had ever used Haskell before. Building a working application entirely from scratch. By using Software Transactional Memory, our application is fully concurrent and memory safe. Planning early helps, but flexibility and adaptability is essential. Pair debugging is fun! 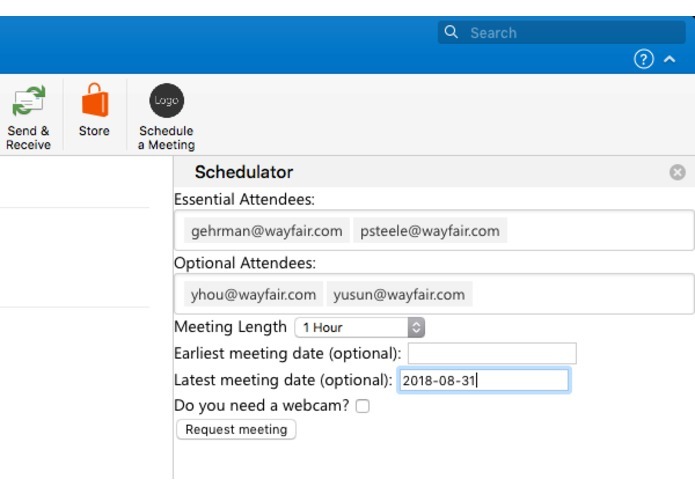 Better integration with existing calendar data, a more flexible backend scheduling system, and the addition of a management UI would all be nice to have. I built the Outlook plug-in. I am a software engineer at Wayfair, with a deep background in theoretical mathematics, working primarily in Python. I worked on the Yesod backend, as well as the scheduling algorithm. I designed the data structures in SQL Server as well as integrated the backend with it. I designed test cases for the scheduling algorithm.